How did you come to read the particular book ? I met C.C.Yager on her blog thanks to WordPress’s page “freshly pressed”. One of Cinda’s post, ” Facing the blank page“, was in the list and I was tempted to read it. It was very pleasant and I really enjoy the writer’s point of view. I subscribed to follow the blog and I have never left it. What did you like about this book ? The background. It made me think about the great science-fiction novels I read, like Aldous Huxley’s A brave new world or George Orwell’s 1984 (both read in French, though). I found it very developed and truly interesting. In spite of the preface which told that this novel was nothing but a work of fiction, I couldn’t help looking for what lead C.C.Yager to imagine such future world. I have never been to America, but I have an American friend who spent several years in France, with me. We regularly corresponded by letters and e-mails. When she came back for holidays years later, she had changed, of course, but nothing indicated marks of a dictatorship ! I thought about movies and series (most of French movies are American)… but I didn’t find something convincing. So, why am I boring you with all these useless details? 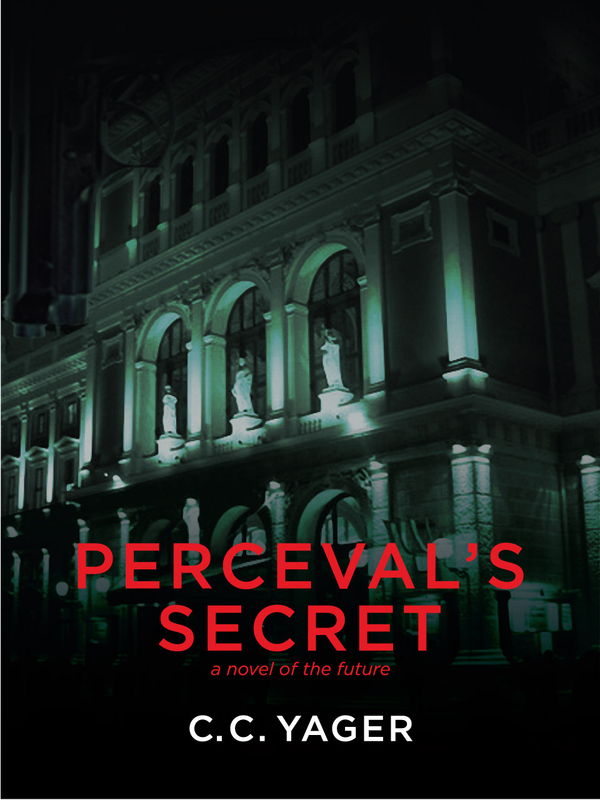 Because, Perceval’s Secret showed me a view of the USA I wasn’t accustomed to, inspired from reality or not. Another seducing aspects of the novel are the frequent allusions to music world. I am not a musician at all. Mum tried to pass down her passion for harp and piano but it was a complete failure… So, I wasn’t very receptive to this particularity, but it must be a great fun between fans ! What did you dislike in this book ? The hero !!! I loved him at the beginning. The first chapter is the most intense of the novel. I was fully captivated by all the sensations of the musical atmosphere (whereas it’s not my cup of tea at all !). But more I was reading, and more Evan Quinn became a stranger. I have never succeeded to understand him. What I enjoyed the more on C.C.Yager’s blog was the personal point of view. It was sensitive and so endearing… Good points I didn’t rediscover with Evan Quinn. He was cold, and distant, he was a character among others. Would you recommend this book to other readers ? Of course ! Yes, Perceval’s Secret wasn’t perfect to my mind, but C.C.Yager’s language style is fluid, pleasant and the setting is all the more successful ! The main character is my only deception. The rest is very good ! Now, I catch your attention to C.C. Yager’s blog a last time. It is untitled Anatomy of Perceval. You will be able to read her thoughts about writing and the development of the Perceval Novels. To buy the first book, just click on this link. It is available on Amazon. You can also visit the Yager Editing Services on their website : just click on the link. 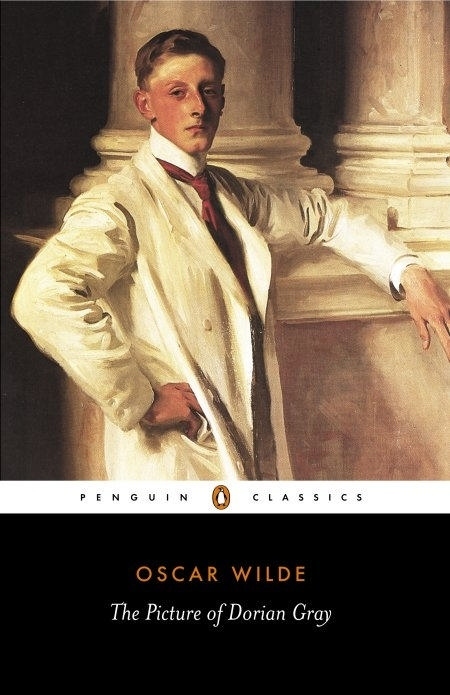 The Picture of Dorian Gray is the only novel written by Oscar Wilde. It tells us about Dorian Gray, an extraordinary good-looking boy, who comes to London in order to sit for Basil Hallward, a famous painter. Basil intends to realize the picture of Dorian Gray. When it’s finished, the lad becomes aware of his marvellous beauty and sells his soul to keep eternal youth. 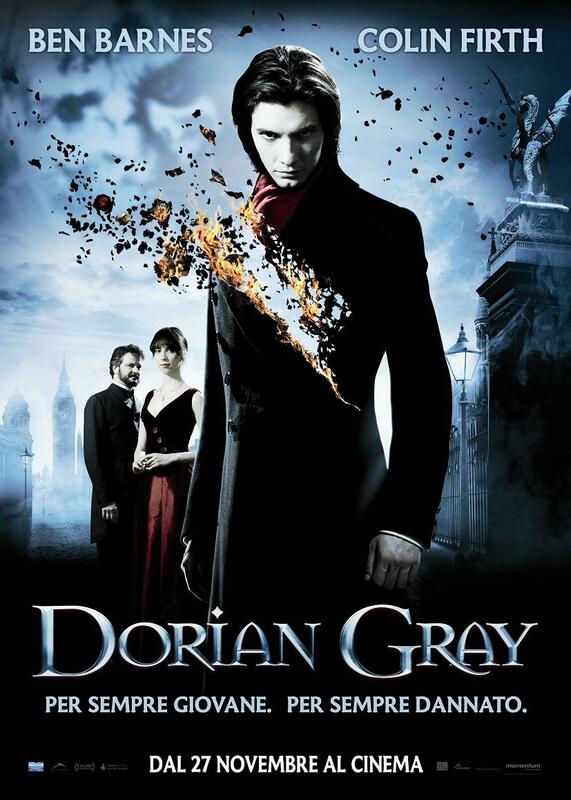 While the picture is growing old and is tarnished by the sins, Dorian Gray doesn’t change and uses his power to live in the pleasure of new experiments. It was truly fascinating! It loved the fantastic side, chapters are short and enthralling ; Oscar Wilde knows how to use suspense and secrets. Even if my English isn’t good enough to feel perfectly at ease, I wasn’t lost at all. It was fluid and pleasant to read. I was always wondering which character represented Oscar Wilde. I don’t know if he wanted to be hidden behing one of them, but we are tempted to believe The Picture of Dorian Gray owns elements of autobiography. But where are they ? Most of Wilde’s famous quotations are in fact parts of Lord Henry’s speeches. Lord Henry is the man who dangerously influences Dorian Gray and who is at the root of his decadence. What a representation ! But Oscar Wilde was a dandy, a mocking gentleman who used to speak very well and to be funny. The trials where he was accused of having homosexual behaviours were turned into comical performances ! Everybody laughed and applauded ! Lord Henry has this kind of effect on people, with his attractive theories about life, his musical voice, his talent for biting repartee… On the other hand, you have Basil Hallward, a tedious painter, desperately reasonable… But he is an artist, a disciple of Beauty… and he worships Dorian for his purity of first days, like a romance which transforms his art. How not to see a little of Oscar Wilde in this passionated research for Beauty ? Didn’t he write in his ‘Preface to Dorian Gray’ that “the artist is the creator of beautiful things” ? Wasn’t he the lover of a very good-looking man who strangely looks like the heroe of his novel ? At last, there is Dorian Gray, an influenced boy, poisoned by a lord and by a book. He leads a double life, he transgresses society’s moral codes, he frequents dubious places where he can indulge his craving for opium… the story of Wilde’s secret life in Paris ? Yes, that’s finished, you can wake up! Just a word about the movie. I watched it before I read the book. This was more focused on the fantastic side and the effects were cool! But I really enjoyed that Dorian falls in love with Lord Henry’s daughter. It gave to the story a kind of ‘homogeneity’ among the characters. Lord Henry suffered more or less of Dorian’s decadence ; in the book, he doesn’t. The book is constituted of three short stories and an extract from A Chapter on Dreams written by Robert Louis Stevenson. I have already studied The Strange Case at school by reading the text of its adaptation to theater. It wasn’t exactly the same story, there were more characters and other characters were omitted, but the general theme was exact and I got fascinated. I really wanted to read the original text. I had never read a story where human personality is clearly separated into two parts : an evil and a good one. Yet, this ambiguous combination is very used by authors who explore the limits of the features of their characters but they never show a distinction between good and evil. I think Stevenson is the only author who dared to write a story about a problem well-known but never explored. I deeply enjoyed my discovery ! It’s a pity my English is not good enough to understand each word and each description, to have a clear idea of the strange and frightening atmosphere, I was always stopped by the vocabulary. But I could feel the suspense ! Even if I already knew the story, the way Stevenson presents the events keeps the reader on tenterhooks. It was funny to read old structures in the sentences sometimes. I am surprised that Jekyll is not more touched by Hyde’s cruelties. He justifies his acts by putting the blame on Hyde. Is this the normal reaction of a gentleman ? He gave Hyde the occasion to do whatever he wanted, I tkink he has a share of responsability. I also enjoyed the second story, The Body Snatcher. It is inspired from a true tragedy which took place in Edimbough in the XVIIIth century. An anatomist, Robert Knox, was suspected of buying the corpses of murdered people to dissect them. 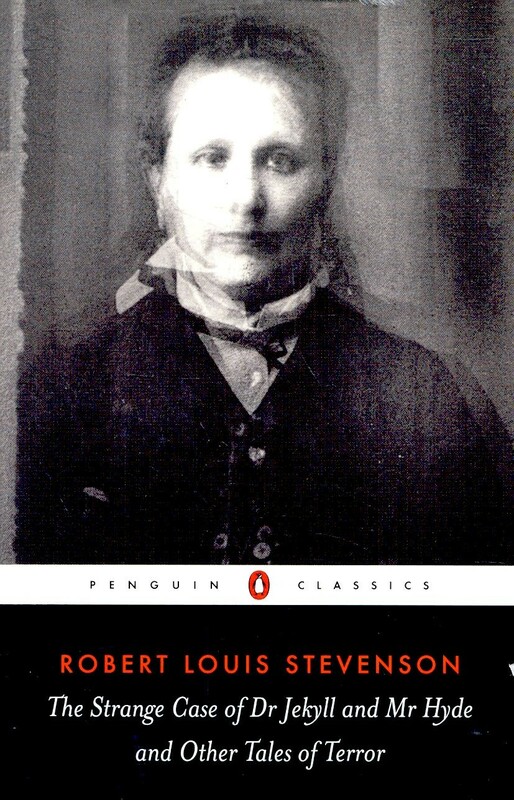 Stevenson writes the story of the student who had to take delivery of the bodies. The short story was abominable and disgusting, the end lets a mark of terror in the reader’s spirit but what fascinated me the most was the way the characters react to the events. HOW ?! How could sane people permit that without being assailed with remorses ? How could that be possible ? This was just… incredible ! The end is a teasing means to punish this odious behaviour. The last short story, Olalla, is the one which I understood the best, probably because I got used to author’s style, but also the one which I didn’t totaly like. It is the story of a wounded soldier who goes to Spain to recover. He is welcomed by an odd family whose behaviour is far from leaving him indifferent. I had the impression that the story had difficulties to begin. I found that long and a little bit monotonous. I wasn’t very touched by it, neither by pleasant sensations nor unpleasant feelings. witch before she died and Diana promised to be as good as her if she wasn’t so frightened about magic. At the beginning, it was love at first sight ! I devoured the first chapters with a strong interest. But I got bored very quickly. Diana is always stressed or terrified. That’s very annoying ! When I want to know more things or more details about what’s happening, she definitely refuses to join me in the story. I was irritated by Matthew’s behaviour. I succumbed to his charm first but then I couldn’t understand the kind of character he represents. He is presented as a courteous and gallant man but we find him a misogynistic feature in his personality. I guess charming misogynists must exist in real life but I didn’t expect that when I met the character. One thing leading to another, when I believed I found what person Matthew was, I was always completely mistaken ; I have never succeeded in figuring him at and I couldn’t become attached to him. I didn’t believe in their love : I liked the way the writer makes the feelings become stronger but I didn’t approve the characters’ final attitude. I found it exaggerated and too much sappy. Despite of these repetitive details in the story, I loved the first dialogues between Diana and Matthew, especially the moment where they are talking in the café for breakfast. This was very realistic and I could see the scene in front of me just by reading ! I really enjoyed the idea of the author to explore paranormal world by sciences. It was a vision of magic I have never seen and it was truly interesting. NB : all of the letters are pronounced in dragonese. Dragonesian articles are always written with the noun. If the noun begins with a vowel, the noun and the article are separated by an apostrophe. In English, there is no difference in the article when we write “the dog” and “the dogs“. In French, and in dragonese, we don’t use the same article with plural nouns. To choose between “gor” and “tân” with a singular noun, you must know if the noun is a feminine or masculine one. Indeed, in dragonese and also in French, words are separated into masculine and feminine nouns, contrary to English. How can you see a difference between masculine and feminine nouns ? You can’t. In French, we make it naturally. But don’t worry, I’ll always add the indication. For indefinite articles, that’s different : the noun is always written with the article. The article changes if the noun begins by a vowel or a consonant. I think that’s complicated enough ! In my French lesson, I add nouns with articles but I think articles suffice for today.